Cooling Systems Guide - ADA Heating & Air in Central Kentucky sells heating and air equipment. This brief cooling systems guide will help you understand the various cooling methods used in the United States. Cooling systems include air conditioning, heat pumps, evaporative cooling, radiant floor cooling and dehumidifiers. ADA Heating and Air can help you choose the best cooling system for your space and use. Since the early 2000s, cooling systems have become increasingly more energy efficient. The Federal Government Energy Star program set the SEER rating to SEER 13. This determines the level of energy efficiency for residential cooling equipment. Many heat pumps offer SEER ratings that are much higher. 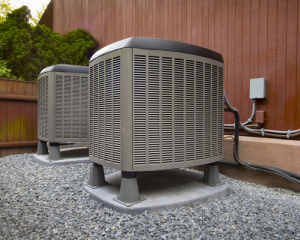 Choosing a new air-cooling system depends on many factors including: the age and condition of your current system, cost, energy efficiency goals and other remodeling. If you have a central air conditioning system, you need to be aware that your duct work may need to be repaired or replaced. Ducts should be inspected to ensure they are in good working order and the right capacity for the job. If you own a furnace but no air conditioning, it is possible to add central air. We can help you determine if this is a viable option for your home. We can also give you recommendations to make sure your new air conditioner is working at peak efficiency. There are options to add a cooling system to your home even if you don’t have ductwork in place. Alternatives, like ductless heat pumps, work well without the additional cost of adding ductwork. Your ADA specialist can help you determine if this is a good option for your home. Ductless heat pumps also work well if you only plan to cool certain areas or zones of your home. ADA can help you design a perfect solution to your cooling needs. Sometimes home improvements can cut back on your air conditioning needs. Air sealing and insulating can work so well, you only need to use a fan or ventilator. In moderate climates a shaded house and tinted windows can be combined with ceiling fans, ventilation and dehumidifiers to eliminate or limit the need for air conditioning. If you have any questions about this cooling systems guide or need help determining which cooling system is right for you, call ADA Heating and Air and we will be happy to help!